The #1 movie of the year proves that once again, dinosaurs rule the earth, available NOW on 3D Blu-ray, Blu-ray, DVD, and Digital HD! To celebrate the home video release of the blockbuster hit of the summer, A Geek Daddy is giving away a Blu-ray + DVD + Digital HD edition of JURASSIC WORLD to one lucky blog reader. For a chance to win JURASSIC WORLD you must be a U.S. resident over 18 years old and submit the following entry methods prior to 11:59 pm EST on Saturday October 31, 2015 to earn up to 4 entries. All valid entries will be assigned a number in the order they are received and one number will be selected to determine the winner using random.org. E-mails will only be used to contact the winner and deleted following the selection of a winner. 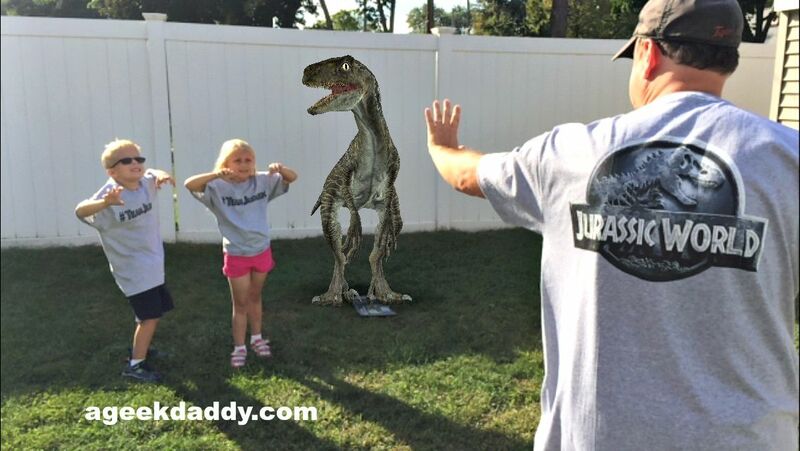 UPDATE: Congratulations to Salvador from Chicago who won the Jurassic World movie prize pack. E-mail thegeekdaddy [at] yahoo [dot] com your name and mailing address. Email subject line should be JURASSIC TREAT. Visit the A GEEK DADDY Facebook page and leave a comment on the giveaway post about your favorite dinosaur in the Jurassic Park movie franchise. The blockbuster summer movie of 2015 is now available for your home video library on Digital HD Blu-ray & DVD. 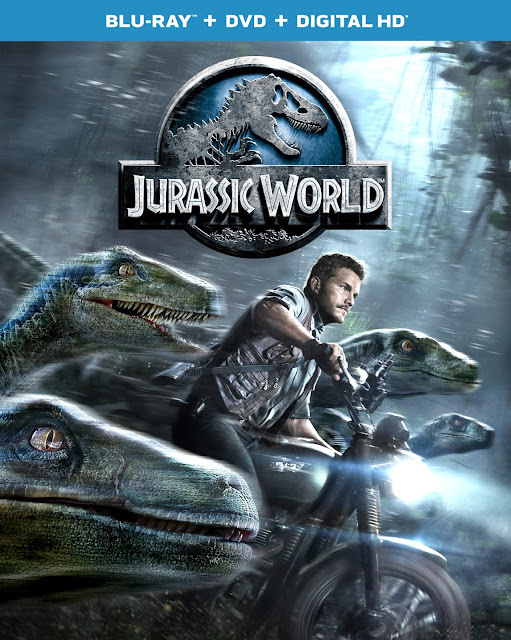 In this film, the Jurassic World them park is open for business and lets guests experience the thrill of witnessing actual dinosaurs, but something ferocious lurks behind the park's attractions - a genetically modified dinosaur with savage capabilities. When the massive creature escapes, chaos erupts across the island. Now it is up to Owen (Chris Pratt) and Claire (Bryce Dallas Howard) to save the park's tourists from an all-out prehistoric assault. JURASSIC'S CLOSEST SHAVES: Clips from all films in the franchise showing “near death” or extremely scary encounters with dinosaurs. DINOSAURS ROAM ONCE AGAIN: Jurassic World’s visual effects, how the dinosaurs came to life, and actors filmed scenes. Wow! it is great that this movie came out in time to enjoy over Halloween weekend. For more information on retailers selling Jurassic World, visit here. I hope everyone has a dino-riffic time enjoying this movie! 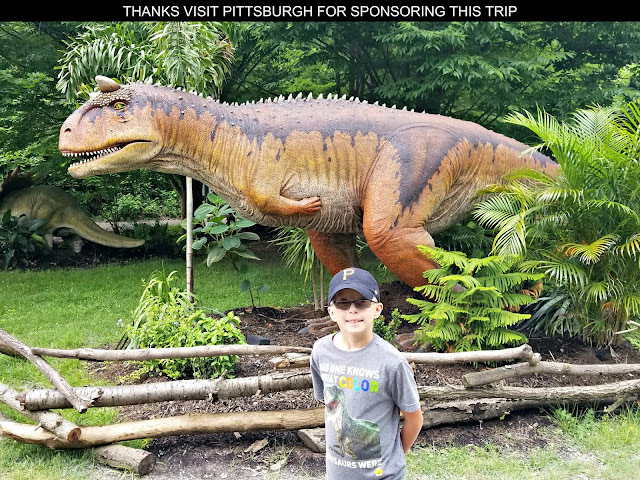 Our family has been having a blast with the movie as part of #TeamJurassic reviewing and giving away the movie plus associated apparel, books, toys and video games. Really enjoyed seeing the movie in the theater and can't wait to see it again now I can add to our home video collection so our family can enjoy it from the comfort of our living room. A Geek Daddy Blog will select a random winner ( 1 winner will be selected from a random draw of all eligible entries - each submitted entry will be assigned a number and a random number will be drawn to select a winner based upon total entries ). By participating in this contest you waive any liability towards A Geek Daddy Blog or its publisher that may arise from your involvement with this promotion. Only one entrant per mailing address per giveaway. If you have won the same prize on another blog, you will not be eligible to win again. Winner is subject to eligibility verification. A Geek Daddy Blog is hosting this giveaway as a benefit to our readers. 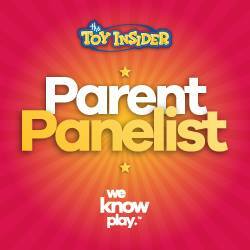 Information for this post was provided by Universal Pictures. A Geek Daddy Blog did receive items of value in exchange for writing this blog post. Universal Pictures is responsible for the delivery of the prizes in this promotion. Opinions expressed in this post are my own.